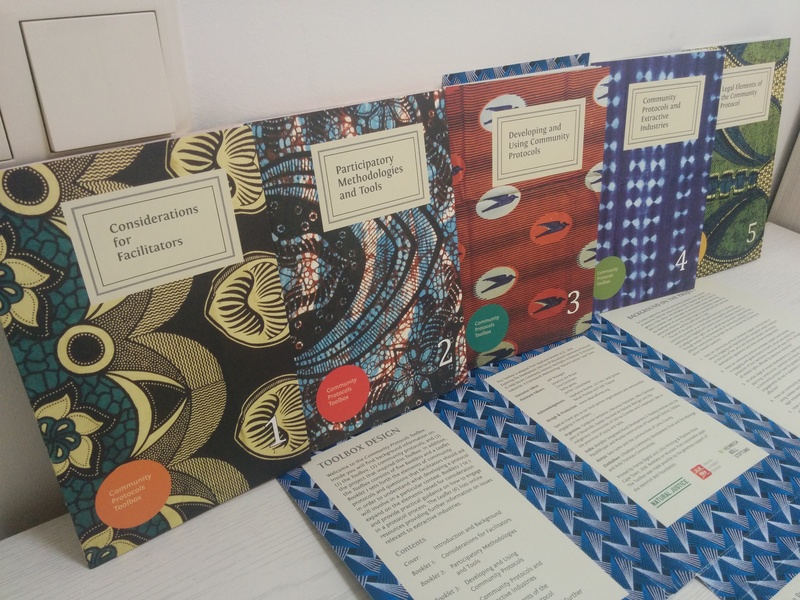 Given our recent work to better understand how greater transparency around extractives revenues might affect Indigenous Peoples, and CBI’s body of work in company-community consensus building, we were invited to attend an international symposium on community protocols, hosted by Natural Justice, and the Henrich Boell Foundation. Eighty-five (85) participants from NGOs, academic institutions and foundations from all over the world gathered at the Heinrich Boll Foundation headquarters in Berlin on April 14th to discuss findings from a recent project on community protocols: Community Protocols and the Extractive Sector. Across mineral rich and developing regions of the world, substantial natural resource wealth rests with Indigenous and tribal communities. And yet, throughout the world, Indigenous Peoples have historically suffered disproportionately from negative impacts of extractive activities in their territories. The global transparency movement has the potential to play a part in changing that past for the better by supporting Indigenous Peoples’ greater participation in resource decision-making on their territories and in their countries. Click here to download the report link. This blog post was derived from a longer report, Preliminary Inquiry into Indigenous Peoples’ Participation in EITI Multi-Stakeholder Groups by Sarah Daitch and Patrick Field. The territorial education departments developed a mandatory curriculum module regarding the history and legacy of the Canadian governments’ former policies of assimilation, and forcible removal of Indigenous children from their families to residential schools. This article presents a study conducted in collaboration with the territorial departments of education in the Northwest Territories and Nunavut, evaluating the curriculum initiative. It examines how Northern Canadian youth connect difficult history with their identity, and become capable of and committed to community and civic engagement in their own lives. Published in peer-reviewed journal, Arctic Yearbook. The Northwest Territories (NWT), Canada’s largest territory, holds significant natural resource potential, most of which is undeveloped. Facing a potential resource boom in minerals, oil and gas, the territory’s government is considering how this finite source of wealth can be harnessed as an engine for development and prosperity. In 2012, new legislation created a Heritage Fund for the territory, establishing the world’s newest sub-national sovereign wealth fund. This fund aims to bank part of new resource revenues for future generations – but, what governance measures and regulations will be required to ensure the Fund benefits citizens? 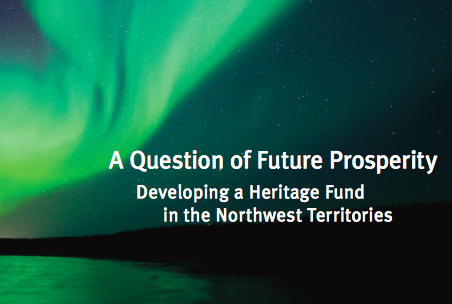 In February 2014, several authors of this paper co-published a policy report, A Question of Future Prosperity: Developing a Heritage Fund in the Northwest Territories (Briones et al. 2014) outlining key recommendations for the Fund’s implementation. Members of the Legislative Assembly tabled this report in the NWT Legislature, pressing the NWT Finance Minister to commit a higher proportion of revenues to the Fund, and to establish rules for fund management and governance. This paper presents the next phase of an ongoing case study in a public policy research initiative – one that supports regional citizen decision-making on resource governance in Canada’s North. The next steps of effective fund governance, oversight, and accountability require analysis, discussion and meaningful public engagement to ensure the retention of resource wealth in the public’s interest. Through devolution, which came into effect on April 1, 2014, the Government of the Northwest Territories (GNWT) took on new responsibilities from the federal government, including control of a portion of resource royalty revenues. This task force report addressed how to best implement the territory’s new Heritage Fund, created in 2012, to achieve its objectives for benefiting NWT citizens today and tomorrow. 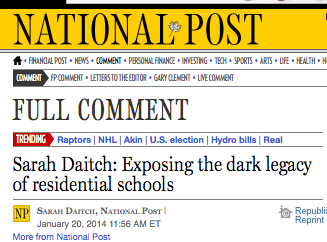 Link to National Post Op-Ed.